From time to time, GrandDad Fabulosa and I like to forget for a while that we are grandparents... homeowners... responsible adults... and sneak out of town for a little one-on-one time. Where we go matters far less than just being alone together and having a little fun. This past weekend we hopped into the car and found ourselves heading up to Michigan. 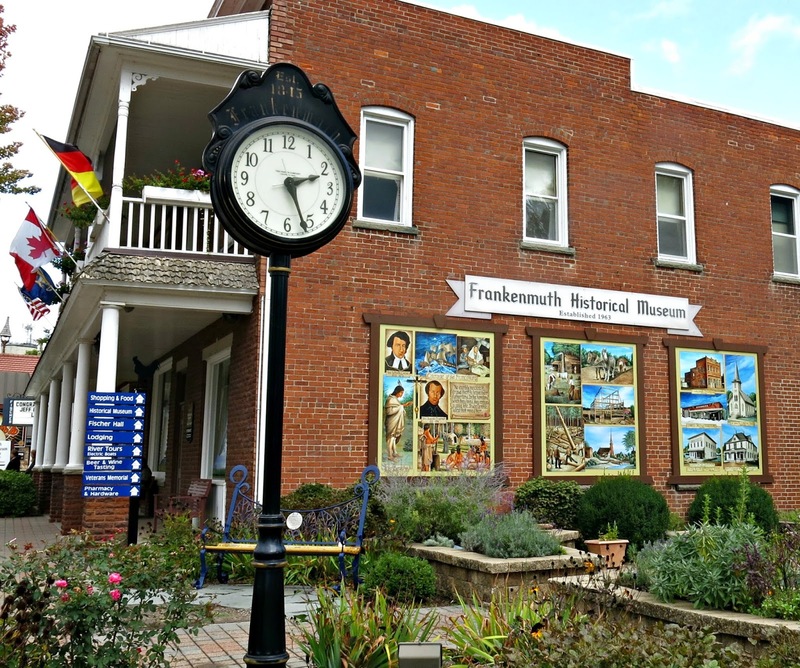 Frankenmuth, Michigan, to be precise. The town was founded in 1845 by a group of Lutheran missionaries from what was then the kingdom of Bavaria. Their mission was "to bring the word of God" to the Chippewa tribal people. Their settlement in the new world became Frankenmuth. I've been to Bavaria, people, and if that's too far to travel, this little town is a pretty nice alternative. Charming, colorful, and family-friendly. What a super place to spend a weekend! For starters, this is a great place to indulge in a little "retail therapy." 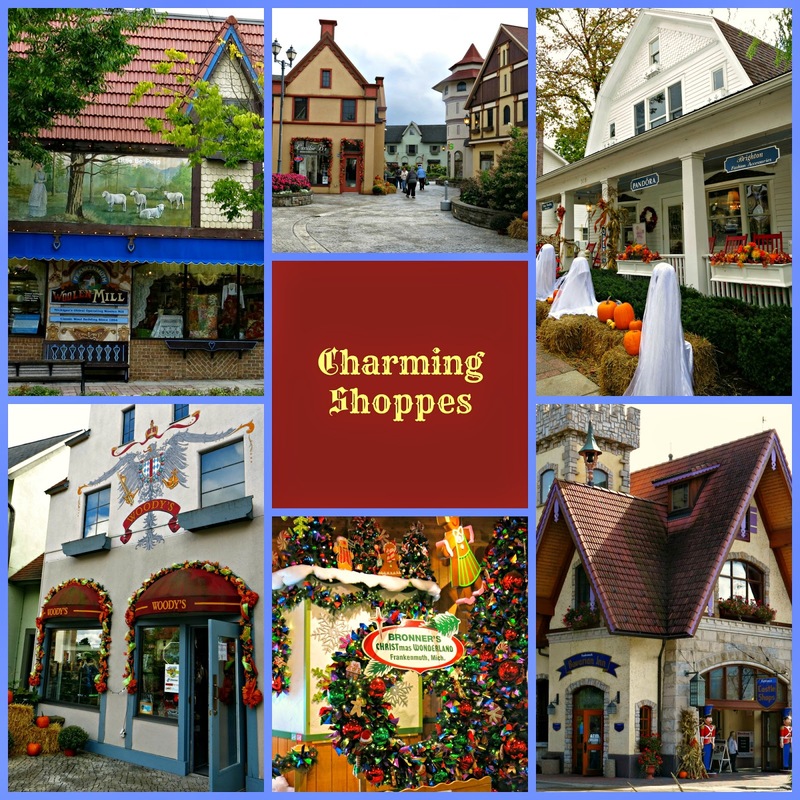 Everywhere you look are interesting shops: quality woolen and leather goods, wines and spirits, jewelry, health foods, artisan candies and fudge, clothing, craft beers, toys... you name it. 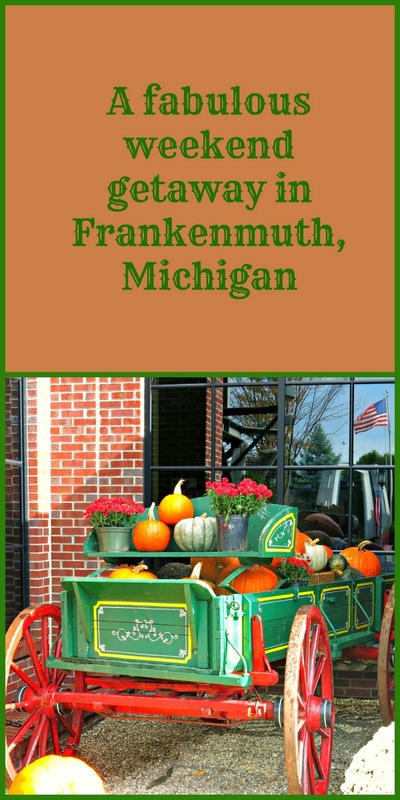 Frankenmuth also boasts the world's largest year-round Christmas shop. Like German food? I do! 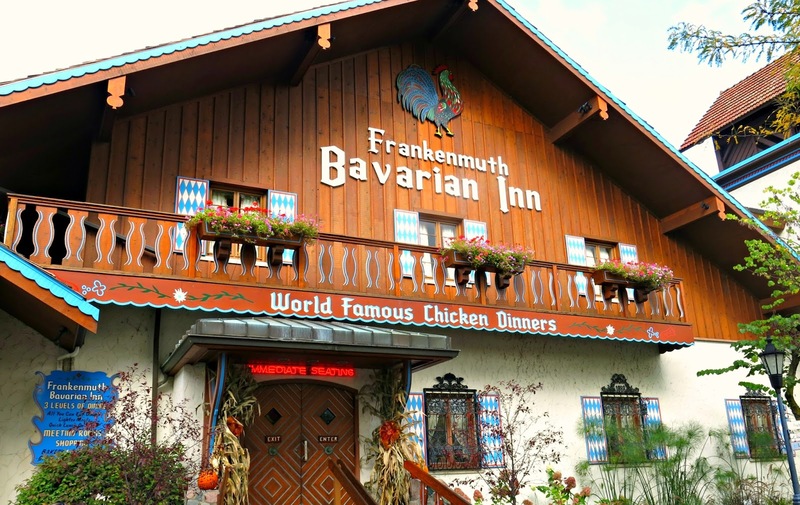 But Frankenmuth also has a long tradition of family-style chicken dinners. 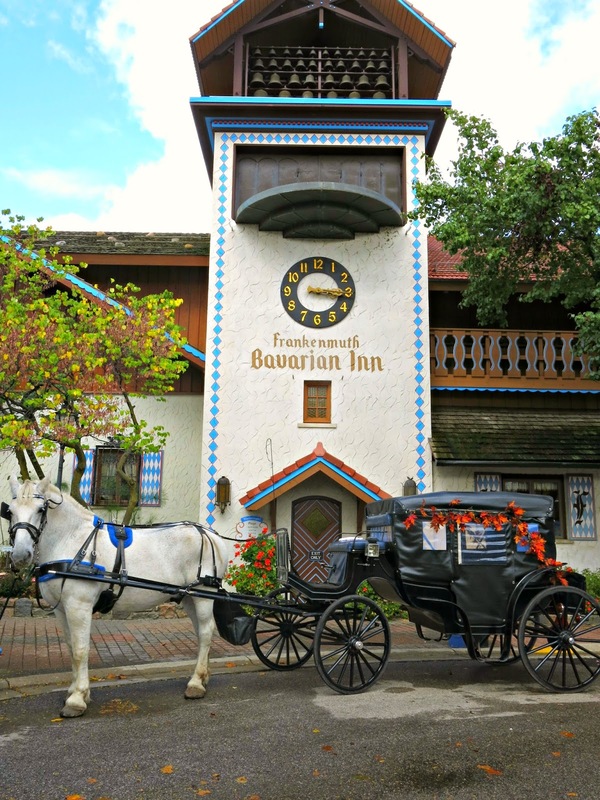 As for GrandDad and myself, we enjoyed a hearty meal at the Bavarian Inn, established in 1888 as the Union House Hotel, now a Michigan historic site. 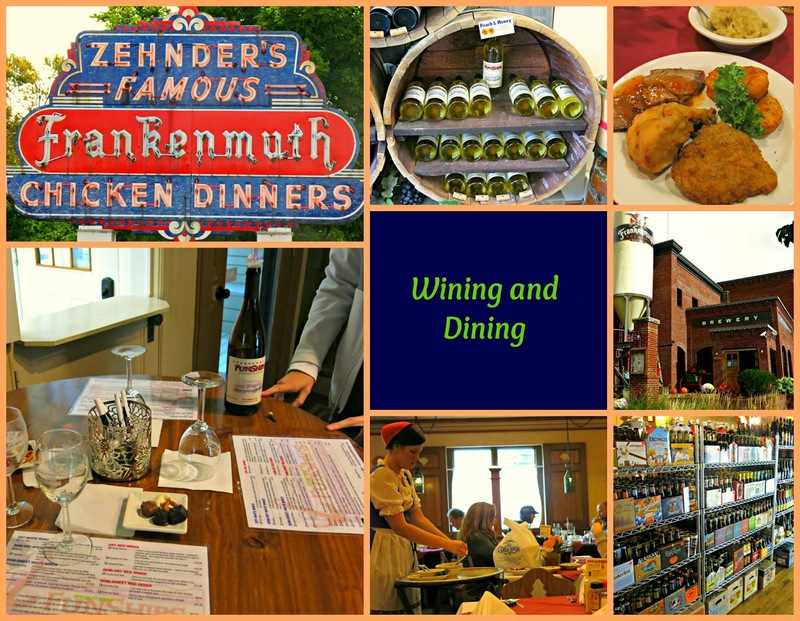 Our dinner included Frankenmuth's famous chicken along with sauerbraten, schnitzel, sauerkraut, potato puffs and stollen bread. Es war himmlisch! And the fact that it was served to us by a friendly, handsome young waiter wearing lederhosen was just a bonus. For me, anyway. We also attended a wine and chocolate tasting at a local winery. Our favorite was the Peach and Honey wine. 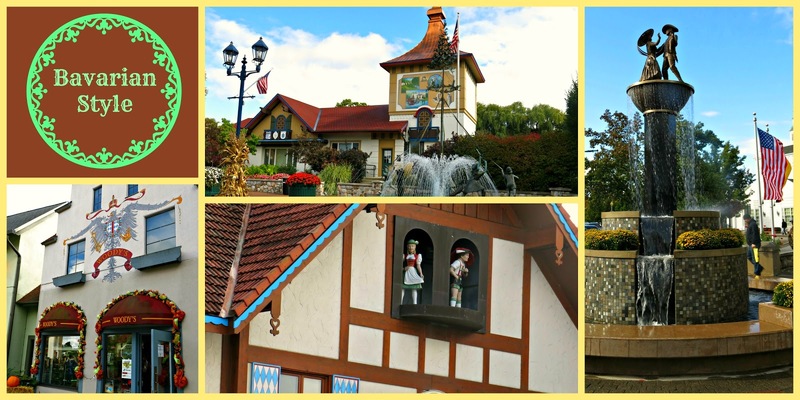 Are there other things to do in Frankenmuth besides eat, drink and shop? Ja, auf jeden Fall! 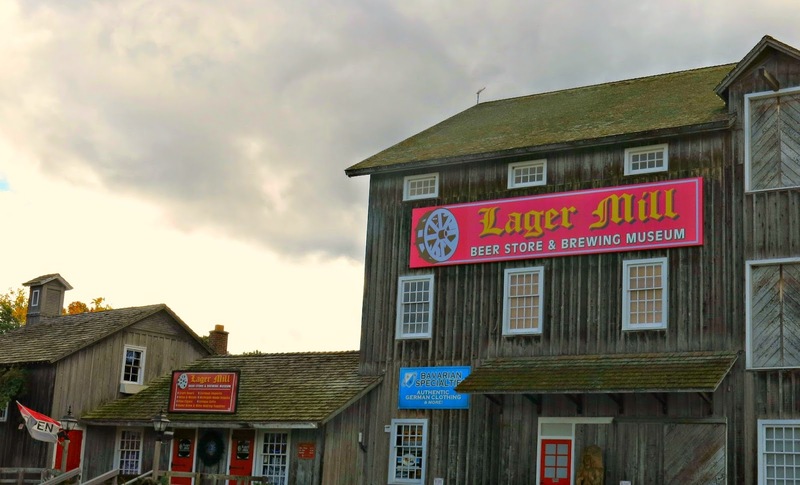 ... or the brewery museum. ... or along the river aboard the Bavarian Belle. This post can also be seen at some great parties! This is such a neat place to visit, isn't it? :) I went about 5-6 years ago and loved it! How much fun! This is a beautiful place. Thanks for sharing your weekend ramble at What'd You Do This Weekend. 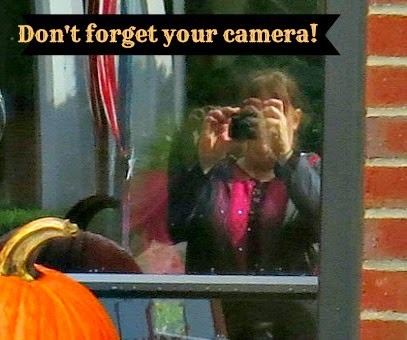 Your weekend ramble will be featured on Tumbleweed Contessa next Monday. Thanks and have a great weekend. Thanks so much, Linda! I look forward to visiting your site again. How fun! Thanks so much for sharing your awesomeness at Show Me Saturday! Please join us again this weekend! 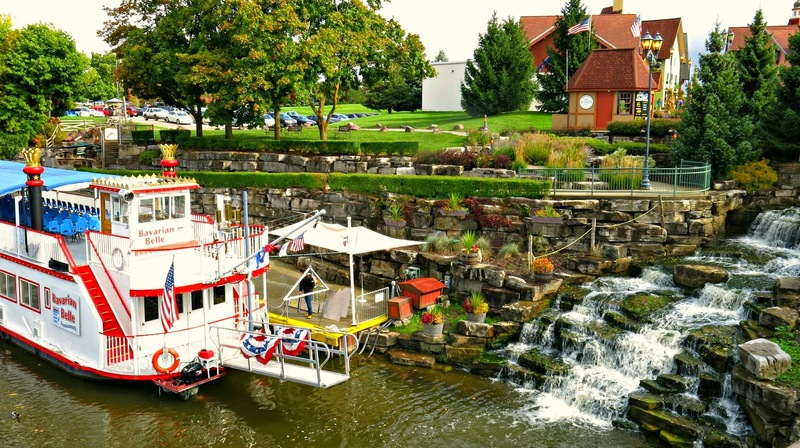 I love Frankenmuth & especially in the Fall! Beautiful pictures! I found your lovely blog on the SITS Sharefest.